NAB 2018 has come to a close, and it’s safe to say the week went by too fast. 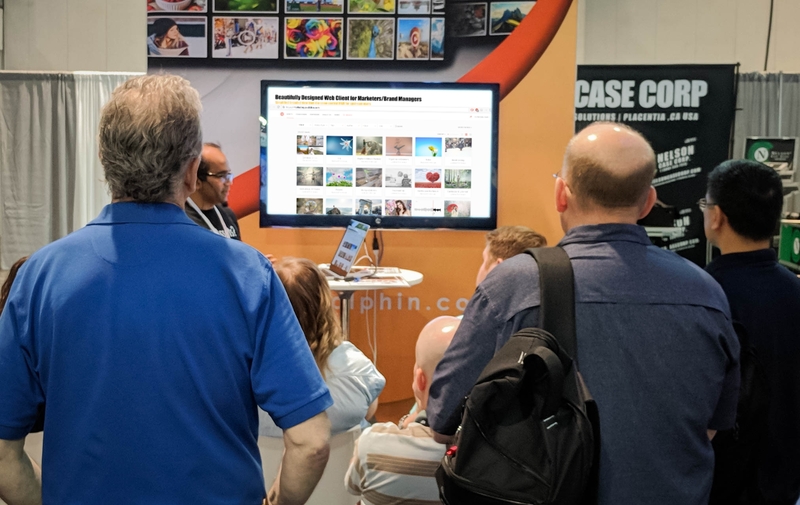 I’ve been attending NAB with the team at Evolphin since 2013, and each year the show continues to impress in its ability to bring together developers, creators, engineers and businesses who are at the cutting edge of new media and digital transformation. It’s the diversity of attendees at NAB that presents an opportunity for a media asset management company like ours to attract potential customers and to showcase our value. For Evolphin, NAB is less about another sales channel and more about the opportunity to interact with and learn from our customers. Sure, we have customer interactions similar to most: customers share their pain points with us, and we tell them how our solution will help. But more importantly, we listen as customers describe not just current issues and problems but also the types of challenges they expect to face in the future. Throwing ideas around with customers about how to address such challenges is a primary starting point for many of our next generation roadmap plans. I’ve found that when we truly listen to what our customers have to say about where they’re heading, we end up with an incredible number of new ideas for how we can better serve them going forward. Take our new hybrid cloud MAM solution: Over the past few years, our customers have increasingly looked to cloud solutions as the future enabler of collaboration but have struggled with the challenges that bandwidth and security present when large critical content is pushed beyond the company firewalls. These concerns were the catalyst for our Video LX 2.0 product set, the first MAM solution to provide a completely seamless and secure experience between on-premises and cloud environments. Video LX 2.0 has made video collaboration in the cloud a reality. Putting smart, motivated people together to solve a problem is the source of innovation. At Evolphin we have a ton of ideas about how to solve a new generation of business challenges and issues; our solutions are being well received by a growing customer base. The reason? We listened, we learned and we responded with unique and interesting ways to solve our customer’s most pressing issues. Gotta love working with wicked smart people.